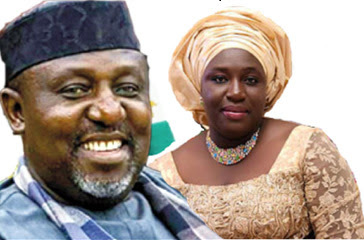 Imo state governor, Rochas Okorocha has said he observed that the people of his state, are bitter, he created the Ministry of Happiness and Purpose Fulfilment, to archive happiness for them. A statement by Okorocha’s Chief Press Secretary, Mr Sam Onwuemeodo, confirmed this in a release to newsmen in Owerri. The governor went further to say: “There is no activity of mankind that is not geared towards providing happiness. “Unfortunately, this vital element of our social lives has not been properly addressed. Governments at different levels have created several ministries and departments to achieve this, yet people are bitter, angry with hate speeches which lead to crisis, war and even terrorism. “In today’s world, especially in our country, millions of people are not fulfilling their purpose in life because of lack of mentorship and guidance. There is complete talent abuse as people no longer engage in life activities suitable to their talents. “Sometimes in university environments, students are meant to study courses they ordinarily would like to do. “This has given rise to why we have people who are favored, do work against their natural will just to survive. » Bisi Alimi Gushes About Australian Husband - "Happiness Is Waking Up Next To This Man Everyday"